Every vial comes with one million passage zero (P0) adipose-derived stem cells (hASCs). LaCell provides donor demographics (including tissue harvest location, BMI, gender and age), viability, immunophenotype, differentiation and CFU data upon request. Our cells are shipped overnight on dry ice. Adipose derived stem cells are mesenchymal stem cells (MSCs) isolated from human lipoaspirate tissue gathered from elective surgical procedures. Adipose derived stem cells (ADSCs) have shown to be phenotypically and functionally similar to bone marrow-derived mesenchymal stem cells. LaCell's adipose derived stem cells can be differentiated into chondrogenic, osteogenic and adipogenic lineages. LaCell provides adipogenic, chondrogenic and osteogenic media to promote the differentiation of these cells, LaCell recommends the use of these media to get the best results. Differentiation of adipose derived stem cells into neuronal lineages have also been reported. 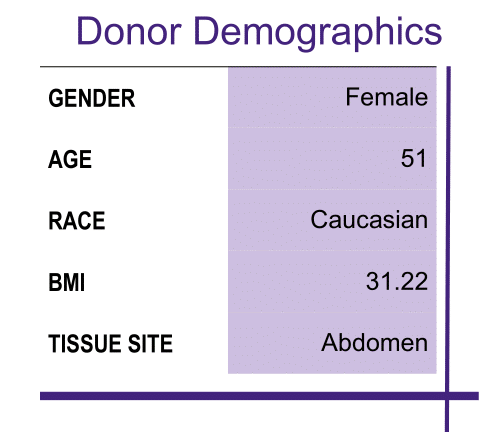 LaCell can provide detailed information on donor demographics including tissue harvest location, BMI, age and gender. 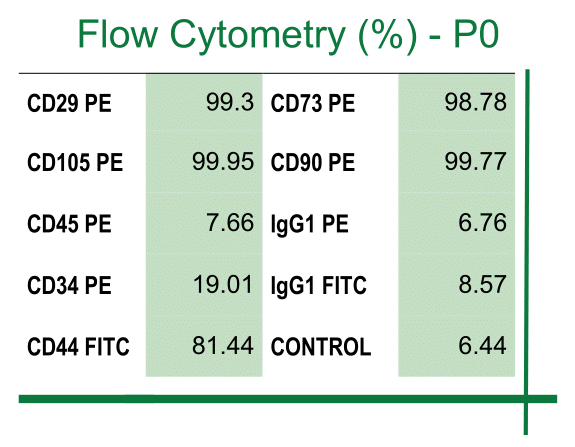 LaCell can also provide viability, immunophenotype, differentiation and CFU data upon request.